LyoConstellation is a brand new range of SP Scientific freeze dryers, all configured to order for faster delivery and specifically designed for aseptic operation. Covering cycle development, stability, pilot and clinical batch production, through to full aseptic production, all systems are powerfully equipped as standard to provide very high capacity, broaden equipment capability and expand design space. When handling high value API, and with a need to bring product to market as quickly and safely as possible, LyoConstellation addresses early stage development in an aseptic manner for particulate level control. This means product behaves in the same manner once the product is ready for scale up and eventually ready for commercialization. 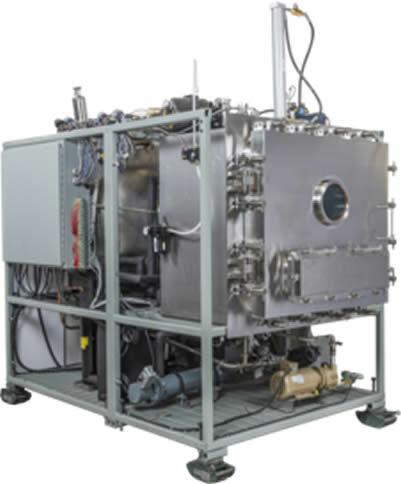 Ideally, as the product progresses from development to clinical phases, it will be developed in this freeze dryer to achieve quicker and less scale up issues to deal with. LyoConstellation S10, S20, and S30 are all equipped with the same available suite of technologies and LyoS software as other SP Scientific R&D freeze dryers, providing you with data for full process and product life cycle management. LyoConstellation systems are robustly engineered to be able to perform the most aggressive (and perhaps overly aggressive) lyophilization cycles to enable the furthest limits of equipment capability and each formulation to be mapped.